Exploring fall arrest legislation in the USA. America is one of the biggest markets in the world for fall protection products, and there has been a considerable increase in the level of testing and ongoing quality assessment needed before these items can be sold and used in the USA. Users and purchasers are looking for products of proven fitness for purpose that have already met the requirements of the applicable ANSI standards. The ANSI Z359 standard range is in place to ensure that all products on the market are safe to use and are fit for purpose. In order for products to be marked as compliant with ANSI Z359, the manufacturer must comply with all relevant clauses stated within all the applicable standards. As a minimum, this will normally include requirements for design, testing, marking and user information. Once the manufacturing company has met all of these requirements, it can mark the product as compliant with the relevant section of ANSI Z359 (for example, ANSI Z359.14:2014 for retractable lanyards). One of the standards that has been created in this range is ANSI/ASSE Z359.7:2011 – ‘Qualification and verification testing of fall protection products’. The publication of this standard has provided some of the biggest changes that manufacturers now have to deal with. It is now a requirement in ANSI/ASSE Z359.7:2011 to have the qualification testing carried out by an ISO 17025-accredited laboratory such as SATRA, with the specific standard covered by the scope of the facility’s testing services. Should this be an accredited manufacturer’s laboratory, the testing shall be witnessed and verified by either a third-party test laboratory representative or by a professional engineer. The minimum number of tests results that are required for qualification testing has increased. Now, a new product must be fully tested a minimum of three times to gain the ANSI mark. Verification testing is also required to be conducted at an interval not to exceed two years, unless the manufacturer has a robust quality management programme, in which case the interval shall not exceed five years. For instance, having an internal quality procedure would mean verification testing being conducted at least once every two years, whereas being accredited to ISO 9001 would allow up to a maximum of five years between retesting. Again, verification testing is required to be carried out by an ISO 17025 accredited laboratory, as detailed above. ANSI/ASSE Z359.0:2012 – ‘Definitions and nomenclature used for fall protection and fall arrest’. 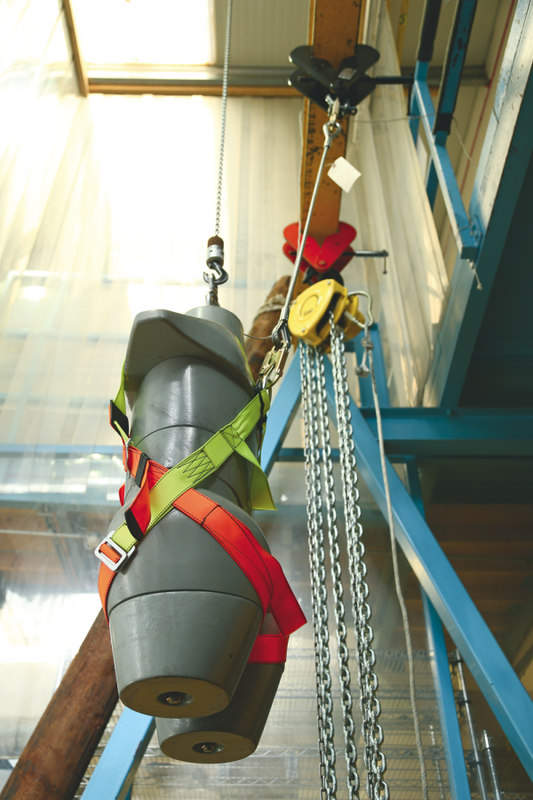 This standard gives a list of definitions and nomenclature used in all ANSI Z359 fall arrest standards. 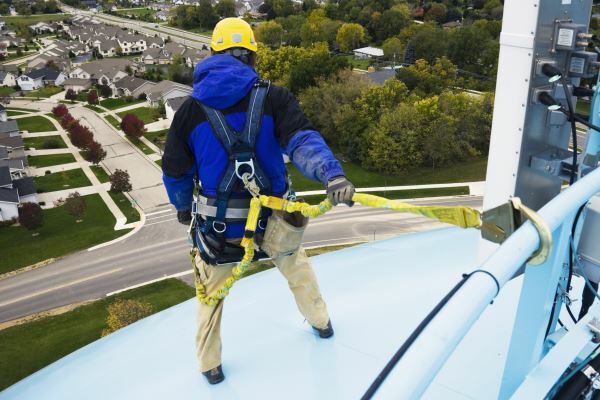 ANSI/ASSE Z359.1: 2016 – 'The fall protection code'. The fall protection code is a set of standards, as listed in the rest of this article, which cover programme management, system design, training, qualification and testing, equipment, and component and system specifications for the processes used to protect workers at height in a managed fall protection programme. This standard can be obtained for free and will be updated regularly to help guide users to the relevant part of the ANSI/ASSE Z359 code that is applicable to each product type. ANSI/ASSE Z359.2:2007 – ‘Minimum requirements for a comprehensive managed fall protection program’. This is for use by organisations where employees are exposed to the risk of falling, and should be used to produce a safe method of working with a successful fall arrest system. It gives guidelines and requirements for an employer’s fall protection programme, including policies, duties, training, fall protection procedures, elimination and control of fall hazards, rescue procedures, incident investigations and evaluation of programme effectiveness. ANSI/ASSE Z359.3:2007 – ‘Safety requirements for positioning and travel restraint systems’. This standard gives the requirements for the performance, design, marking, qualification, test methods and instructions of lanyards harnesses that are for restraint and positioning, all for users within the range of 130-310lbs (59-140kg). ANSI/ASSE Z359.4:2013 – ‘Safety requirements for assisted-rescue and self-rescue Systems, subsystems and components’, which gives the requirements for the performance, design, marking, qualification, instruction, training, use, maintenance and removal from service of fall arrest devices used in rescue systems. This standard includes components such as connectors, harnesses, lanyards, anchorage connectors, winches/hoists, descent control devices, rope tackle blocks and self-retracting lanyards with integrated rescue function. These rescue devices can be for one-person use or for use by two people simultaneously. ANSI/ASSE Z359.6:2009 – ‘Specifications and design requirements for active fall protection systems’ is a standard for engineers with expertise in designing fall protection systems. It gives requirements for the design and performance of fall arrest systems which also include travel restraint, vertical and horizontal fall arrest systems. ANSI/ASSE Z359.7:2011 – ‘Qualification and verification testing of fall protection products’. This standard gives the requirements for qualification and verification testing which includes requirements for third-party testing, witness testing and manufacturer testing. See above for more details. ANSI/ASSE Z359.11:2014 – ‘Safety requirements for full body harnesses’. This provides the requirements for the performance, design, marking, qualification, instructions, training, test methods, inspection, use, maintenance and removal from service of full body harnesses. These can be used for full arrest, positioning, travel restraint, suspension and/or rescue applications for users within the capacity range of 130lbs to 310lbs (59Kg to 140Kg). ANSI/ASSE Z359.12:2009 – ‘Connecting components for personal fall arrest systems’ gives the requirements for the performance, design, marking, qualification, test methods and removal of service for connectors. This includes karabiners, scaffold hooks, snap hooks, O-rings, D-rings and buckles. ANSI/ASSE Z359.13:2013 – ‘Personal energy absorbers and energy absorbing lanyards’. 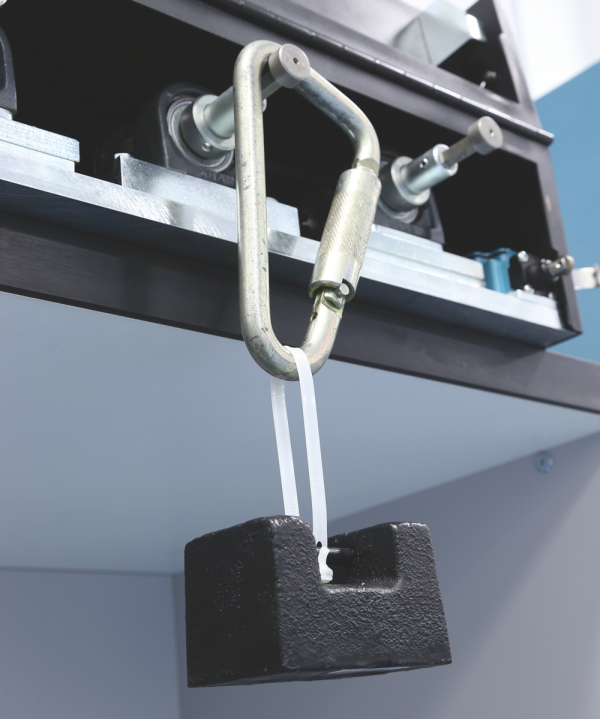 This standard gives the requirements for the performance, design criteria, marking, qualification and verification testing, instructions, inspection, maintenance and removal from service of energy absorbers and energy absorbing lanyards, all for users within the range of 130lbs to 310lbs (59kg to 140kg). These can be classified as either ‘6 feet FF’ (6ft free fall) or ‘12 feet FF’ (12ft free fall). ANSI/ASSE Z359.14:2014 – ‘Safety requirements for self-retracting devices for personal fall arrest and rescue systems’. This provides the requirements for the performance, design, qualification, testing, marking and instructions, inspection, maintenance, storage and removal from service of self-retracting devices (SRDs), all for users within the range of 130lbs to 310lbs (59Kg to 140kg). This includes self-retracting lanyards (SRLs), self-retracting lanyards with integral rescue capability (SRL-Rs) and self-retracting lanyards with leading edge capability (SRL-LEs). ANSI/ASSE Z359.15:2014 – ‘Safety requirements for single anchor lifelines and fall arresters for personal fall arrest systems’ gives the requirements for the design criteria, qualification, testing (performance requirements), marking and instructions, user inspections, maintenance and storage, and removal from service of single anchor lifelines and fall arresters for users within the capacity range of 130lbs to 310lbs (59Kg to 140Kg). ANSI/ASSE Z359.18 – 2017 – 'Safety requirements for anchorage connectors for active fall protection systems'. This standard establishes requirements for the performance, design, testing, marking and instructions for use of anchorage connectors in travel restraint, fall arrest, rescue, work position, rope access and suspended component/tie-back line systems only. ANSI/ASSE Z359.17 – ‘Safety requirements for horizontal lifelines for personal fall arrest systems’. SATRA is in a position to offer testing along with help and advice on a range of fall arrest standards, including some of the ANSI Z359 standards mentioned above. Please email ppe@satra.com or visit www.satra.com/portal/fall_protection.php for more information.